Shin Sung-rok is the gorgeous actor who has drawn the attention of a massive audience. As he is currently acting in his second drama in as many months, a look back at Shin Sung-rok’s rise to stardom is in order. Like a few other actors, Shin began his career after having his athletic dreams dashed. Although he had difficulties when he first thought about an acting career, this drove him to try his hand at stage acting. This decision would launch him into stardom. Shin Sung-rok is no stranger to the acting scene. He first entered the business over 10 years ago, with Shoot for the Star. 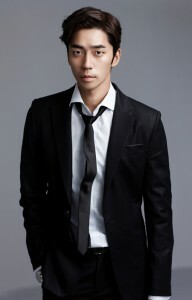 Until this year, he mostly played small or supporting roles, with the exception of dramas such as The Art of Seduction. Despite his tenure, Shin did not gain his current popularity until megahit drama You Who Came From the Stars. Although his role was a supporting one, he gained attention. It would be difficult to ignore how well he played the sociopathic Lee Jae-kyung. 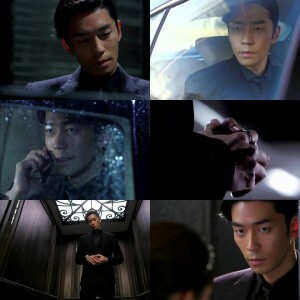 With his piercing gaze and sinister smirk, even the stills from the drama were enough to make your hairs stand up. It was this break that lead to Shin no longer just being in the supporting role, but becoming a prominent member of the main cast. His first main role was that of Jo Geun-woo in Trot Lovers. This was a switch from his previous role, in that he’s a little less sociopathic and more affable. He followed this up with the remake of Liar Game. Shin returned to his darker side by playing a con man. One month later, he’s currently a supporting actor in The Face Reader, which is his first role in a historical drama. His success in the drama remains to be seen, but given the cast, it wouldn’t be surprising if his career receives another boost. He also managed to land himself a spot on the first season of We Got Married. In January 2009, he became the “husband” to comedian Kim Shin-young’s “bride.” His appearance came while his career onscreen was budding and he was a star onstage. This has been his one and only variety performance. Although he’s worked tirelessly on dramas, he hasn’t been nearly as prolific on the big screen. He’s only done about seven movies. If he had more films, perhaps his audience would grow even bigger, since he’s got the stage and TV audience already paying attention. Shin hasn’t just shown his prowess on the screen; he’s also prolific on the stage. Even before his television career took off, Shin was involved in musical theatre. He has acted in 17 musicals, and somehow, found time to do one this year — The Sun King — in between his four different dramas. He appears to be quite popular for his stage performances. Despite his busy drama schedule, he still consistently works in the theatre. Back in 2009, when his public popularity was slowly beginning to take shape, Shin still expressed his desire for the stage. This stage experience has translated to him having a wonderful singing voice. Sadly, we only have one song to use as a reference. For his drama Trot Lovers, Shin released the OST “Boiling.” His deep voice was a pleasant surprise for those who don’t follow Korean musical theatre. It would be nice if he releases more songs in the future. Shin Sung-rok’s dedication is admirable. He’s mostly avoided using variety to boost his career. Instead, he’s relied on his skills, though I’m sure his looks have a bit of something to do with his growing popularity. Good looks and talent go a long way. However, clearly his talent is the main attraction, as he has been nominated and received awards for his work on screen and on stage. Shin’s future is very bright. He clearly would try various roles, genres, and acting paths and his willingness to branch out will only grow his popularity. It also will make him a prominent target for directors and producers who need brave souls to try their projects. If he can keep capitalizing on his involvement with You Who Came From the Stars, Shin Sung-rok could end up rocking the Korean entertainment scene.